Discussion in 'Muppet Appearances' started by Phillip, Oct 14, 2013. Muppeteer and director Frank Oz and Brian Jay Jones, author of Jim Henson: The Biography are scheduled to appear on The Today Show Tuesday October 15. The Today Show airs weekday mornings on NBC. Watch the show and let us know your thoughts on the appearance. Discuss "Jim Henson: The Biography" book and audiobook with fans. Save off the regular price, order "Jim Henson: The Biography" on hardback, paperback and eBook and "Jim Henson: The Biography" audiobook on CD. If you saw this appearance, please "like" this message and share your thoughts below. Cookie Chris, Convincing John, ploobis and 6 others like this. I'm glad I caught that. I was a little worried because I haven't gotten my VCR set up and I have too many errands to run to sit through the whole thing today, but I caught the time. They said this should start at 8:45, so I'll keep my eyes open. Was that it? They did talk about the Muppets and they showed Frank in interview clips. I don't know who Brian is, so I can't say too much there and I can't keep watching because I need to go out and run some errands, but keep me informed as to whether or not I missed anything else. 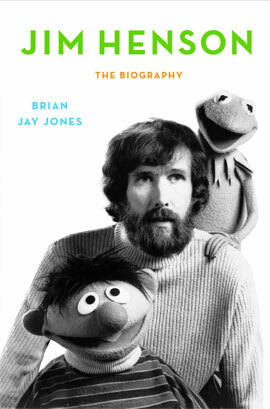 Now on-line, watch the wonderful tribute to Jim Henson with Frank Oz and author Brian Jay Jones from The Today Show. Let us know your thoughts. If my international friends need a transcript let me know in a private message, and I will work on it latter today. it was, so many people had respect for Jim and his work. I'm just glad that his work is able to still live on. It was great to see Frank Oz talk about Jim Henson and the characters they performed. I was also glad that Brian Jones got to express his thoughts about the book as well. Archival footage of Sam and Friends and the Henson Workshop shots were lovely. The clip montages of classic moments and the memorial service were very nicely done. This segment was much too short. I know it wasn't the fault of Jones or Oz, but good grief! The life and work of Jim Henson is much too important to be shoehorned into five minutes at the end of the show. Couldn't they have at least postponed the bread pudding bit for another day or the motorized baby swing (which the baby didn't even like)? I'm sure that Jones or Oz had said more that didn't get to air. Even three extra minutes would have made a big difference. Five minutes worked on the Daily Show appearance since there was only one person to interview. I was hoping Today would treat the biography like the way they did with "The Works" when it came out. 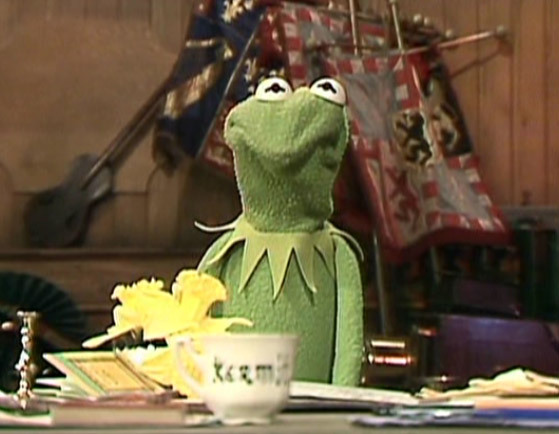 Jane Henson, Brian Henson and Frank Oz were all interviewed for that one. And once again, Frank Oz, just like the rest of the Muppeteers, performs characters, not voices. For some reason, some people think that Muppets are cartoons. (Yes, there's Muppet Babies, but you know what I mean). "Frank Oz, the voice behind..."
So...for what it was, I'll give Jones, Oz and the folks who put the clips and still images together a big thumbs up. I just hope that the next scheduled appearance promoting the book is treated with more time and respect by the network and/or show. Jim Henson's more important than a bread pudding recipe. Had another chef been doing the cooking, I would've let it slide. Cookie Chris and Phillip like this. I know what you mean. I had hoped that the anchors would have had more of a conversation with those guys. It seems like the interviews shown were from past clips, but feel free to correct me if I'm wrong on that. At first, I thought Frank and Brian Jay were going to be live in the studio with the Today anchors. (I was wrong.) But I thought they did a pretty good job with it overall. The only complaint I have is that I wish they had devoted more time to Frank Oz's interview. He could have gone on for the entire three-hour morning slot of the Today show (before Hoda & Kathy's slot) about Jim Henson's life, legacy, and creations. It was ok but odd there was no mention of Jim's other projects, e.g. Storyteller, Labyrinth, Dark Crystal etc. Which is sad because even though they were considered to do not so well in the box office or ratings they where some of Jim's more interesting works. That is why, and I feel like a broken record a true Muppet fan should interview Frank Oz. Just like in his interview on the Muppetcast! I didn't get to see it. 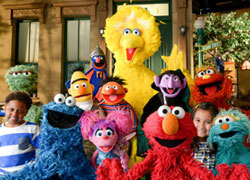 Was Sesame Street mentioned at all? I noticed that they showed a quick B&W clip of the Glow Worm sketch with Kermit. I know that wasn't from the 1964 Jack Parr show appearance, it looked more earlier than 1964. I wonder where that clip was from? I love that Classic Glow Worm sketch! Well, guys, it was worth the wait! I thoroughly enjoyed seeing some footage I never saw before such as Jim and Jane's appearance on The Today Show, the Inchworm sketch on The Jack Paar Show, and that skit with the early version of Kermit playing on the banjo that appears to have been from Sam and Friends. It was a nice summary of Jim's life, though I agree there should have been a mention of The Dark Crystal and Labyrinth. I also liked how Frank Oz mentioned the term, "affectionate anarchy", again like he did when he was shown the "Muppet Pipes" back in 2010. It would also be nice if NBC showed the full interviews of Brian Jay Jones and Frank Oz. Yes, they mentioned Sesame Street. It was from The Jack Paar Program. The sketch was performed on December 18, 1964. 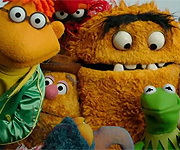 I like the fact that Frank mentioned that he and Jim were annoyed whenever anybody thought that the Muppets were cute! LOL!!! I just happened to catch it by surprise and I thought it was great! I do agree they should have talked about Jim's other projects besides Sesame, TMS, and Fraggle Rock but for the time allowed it was just right. It never seems to amaze me, no matter how many times I see it... Jim's funeral scenes always bring tears to my eyes. He was my childhood idol and I always wanted to meet him.